Type of Plant: An evergreen that is a combination of green and yellow, with lovely, ferny foliage and a graceful shape. Why I Love/Hate this plant: Most Hinoki false cypress flourish in full to part sun, and when placed in the right location don’t have to be pruned or shaped. This one is especially nice because it adds both green and gold to the landscape all fall, winter and spring. A Word to the Wise: Don’t use this in a foundation planting unless it is placed where it can grow 8 to 10 feet tall. 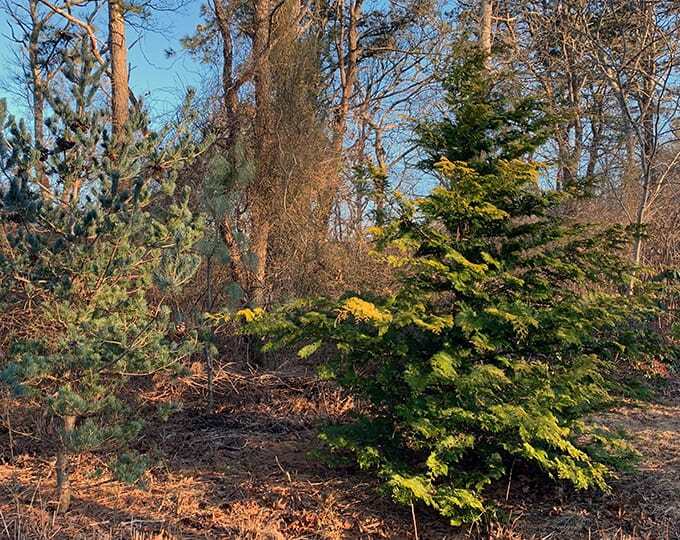 Like many golden evergreens, this one will be most colorful when it gets at least a half-day sun in the afternoon. 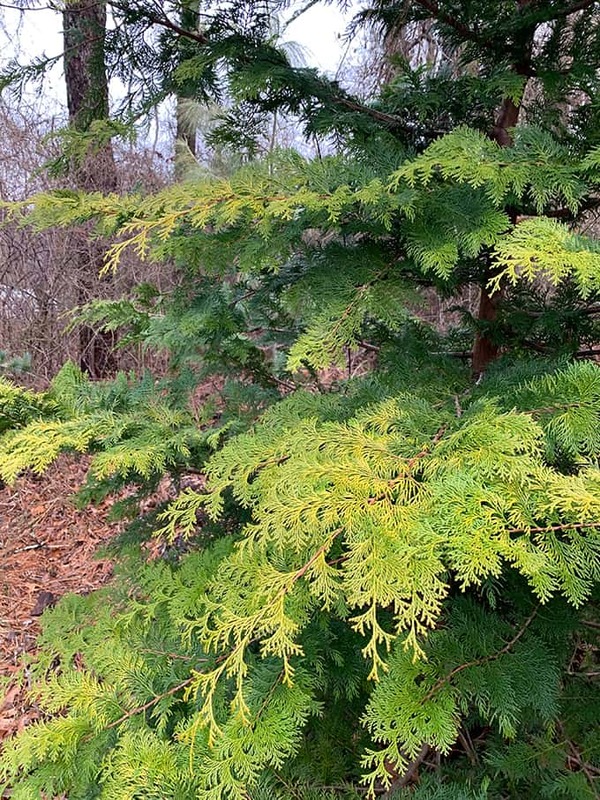 And please don’t shear Hinoki false cypress shrubs because they are most attractive when allowed to grow in their natural, wind-swept look and manner. At this time of year when the landscape often seems relentlessly brown, the golden hinokis are a treat for the eyes. 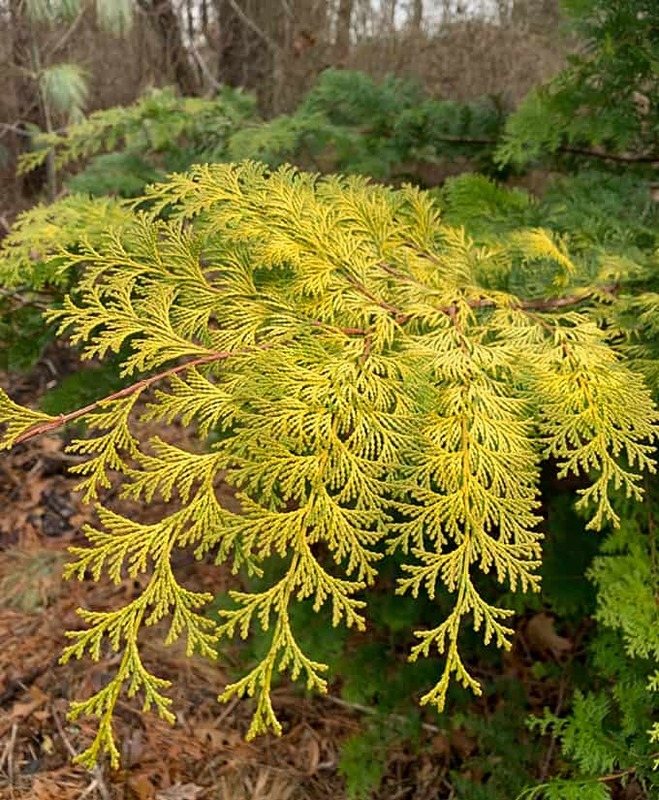 Graceful sprays of lacy foliage are green and gold. The fernspray variety is just that – very fern-like. But there are other golden hinokis as well, all equally as lovely.